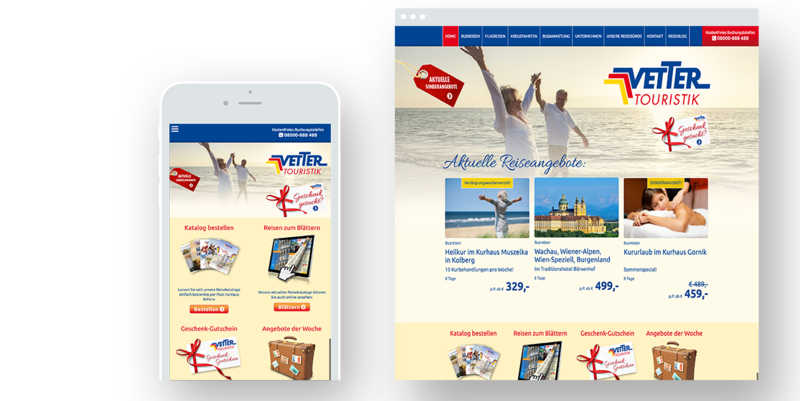 Vetter Touristik is a tour operator with a regional clientele in Saxony-Anhalt and the edges of Saxony and Thuringia. The company offers its own programs with bus and air travel, cruises, and day trips. In addition, it operates 31 travel agencies, where travel with other famous operators such as TUI or Neckermann are handled as well. Vetter informs agency partners and approximately 1,700 retail customers about its own deals and events, and for this purpose, sends three to four newsletters per month. Agency partners are external travel agencies with which Vetter cooperates, and retail customers are travellers who book directly. Founded in 1990, the firm heard about Clever Elements® by word-of-mouth a few years ago. 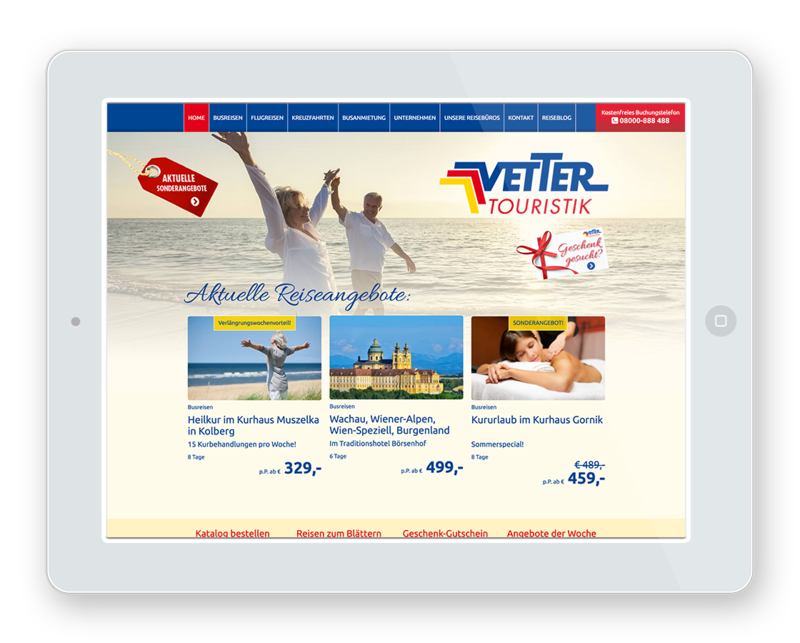 Vetter Touristik uses a template created by their inhouse technology department. It is important for the company that the links from the newsletter will be linked to the right sites their homepage. This provides important data about the recipients of the newsletter: Which preferences and interests do they have? Which topics are particularly interesting for those recipients in terms of good conversion? According to this information, better segmented and more specialized Newsletters can be sent - for even better conversion. This experience was positive for Sophie Koch who is in charge of marketing, because the tedious work of sending a newsletter has been simplified and accelerated by Clever Elements®. Other employees can be introduced to the software in little time, and can take part in work on the newsletter. The contents of the newsletter include seasonal offerings: for example, Easter and Christmas travel, as well as general special offers relating to a specific theme. Most newsletters present the whole range of current offerings, and special newsletters are sent in addition according to the interests of specific customers. Support is hardly used because Clever Elements® is so easy to understand and use. For Vetter Touristik, the investment in the newsletter was worth it. Around ten percent of all bookings can be attributed to the newsletter mailing. Therefore, for the company, it is important to collect more email addresses in the future. That Clever Elements® works on German servers and provides comprehensive data protection is important - especially for travel agency customers. Because of this, they are more willing to give their email addresses a price. „With Clever Elements®, email marketing becomes quick and easy.